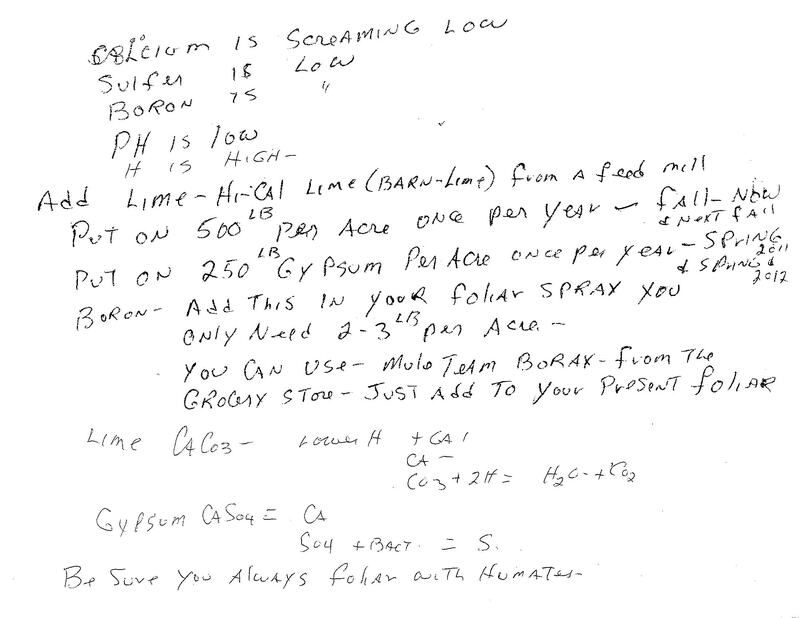 We are low on Calcium, Sulphur, & Boron. The soil is also acidic (pH of 5.5). Our next step is to purchase & apply ag lime at a rate of 500 lb/acre once per year in the fall, and also 250 lb/acre of gypsum per acre for the next two springs (2011 & 2012). But where can I find an organic source of boron? 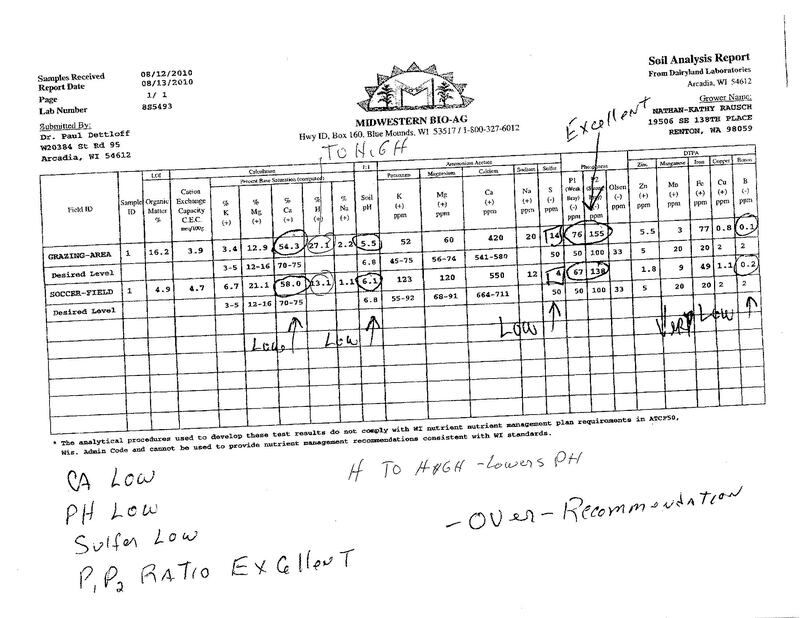 This entry was posted in Farming, Soil and tagged Soil Analysis, Soil Sample. Bookmark the permalink.